Purchase a one-of-a-kind piece today! 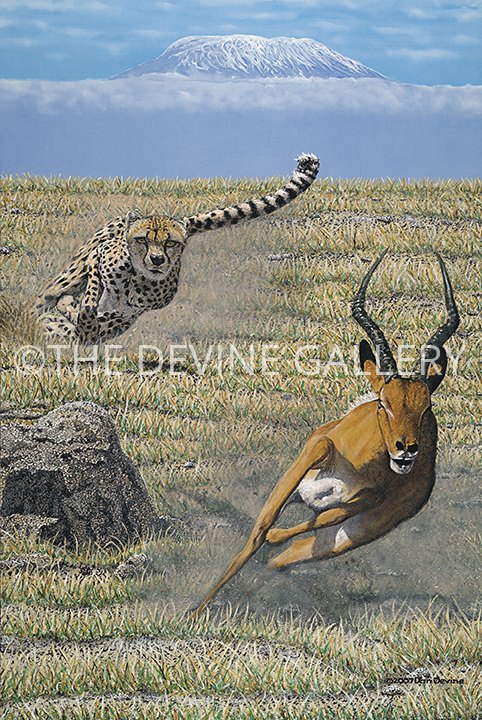 A series of paintings depicting wildlife interacting in their natural habitat. These exciting images capture the anticipation of a climactic event about to unfold. Purchase your one-of-a-kind original today! 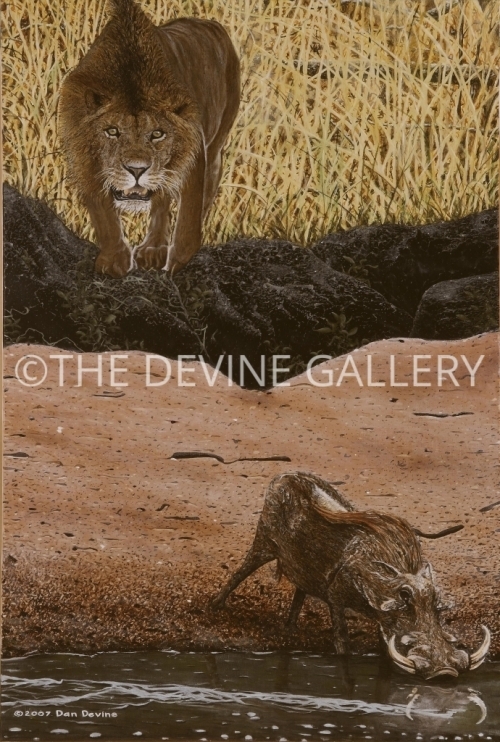 If you like what you see here, you will love the actual painting! 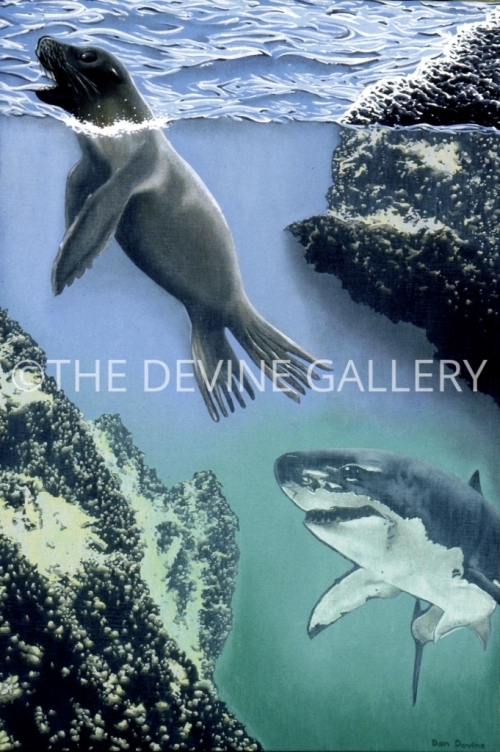 Wild Encounters Collections, by Dan Devine, are a series of paintings depicting two creatures interacting in their natural habitat. These exciting images capture the anticipation of a climactic event about to unfold.